My Quest for Balance began one early fall morning when I stepped out of Toronto’s Fairmont Hotel and just across the street boarded the Ontario Northlander train, part of the VIA Rail Canada system. I’m a huge fan of train travel, and settling in on the Northlander, I noted right away the generous proportions of the train car! The padded seats were roomy and reclined generously, with an extra foot fold-out that allowed for full-scale napping while the train gently swayed along. Overhead, the luggage bins accommodated even large rolling suitcases and successfully kept the aisles clear and navigable. Large picture windows let in the rolling country scenery that appeared just minutes outside of Toronto’s steel and glass skyline. Three hours later I stepped off the train in front of the historic old train station in South River, and the conductor offered me his hand with a genteel and old-fashioned politeness that matched the feel of the little town. 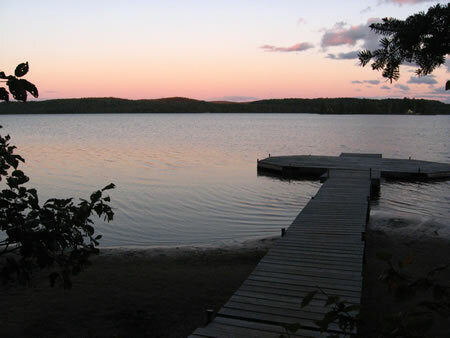 I was met by Vicki, the resident reflexologist, and driven out a winding country road to the Northern Edge Algonquin where I’d be spending the long weekend as a participant in the Quest for Balance retreat. I settled in to my sweet little canvas cabin and wandered the bucolic grounds as the other retreat participants slowly trickled in. With nothing on my schedule and all this beauty to take in, I could feel myself relaxing and letting go by the moment. When the group all had arrived, we were given an official welcome by Wendy and Nicki, our retreat facilitators. As we went around the room and verbalized our intentions for coming to the Edge, it became very clear that this retreat was aptly named. Each of us, in some way or another, were seeking to move back towards inner harmony, to take time to focus on ourselves, and to achieve better balance in our day-to-day lives. 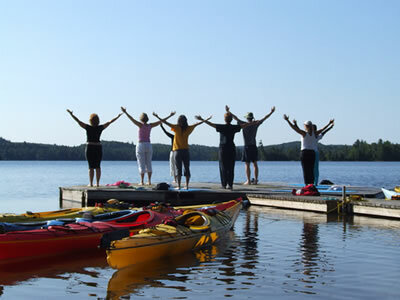 The group was comprised of 10 women with a range of ages, interests, and yoga and kayaking skill levels. The following days were both peaceful and rejuvenating; a delicate balance indeed! Unplugged from our computers, phone and clocks, each morning we were awoken early to the sound of soft drumming, or perhaps a harmonica, weaving its way through the surrounding woods. That was our call to the yoga studio, where we’d warm up with a cup of tea and settle in silently to our mats for morning yoga practice. Typically not a morning person myself, I found the morning practices to be an amazing way to start the day. Wendy guided us gently through the first poses of the day, and I felt my body fill slowly and steadily with warmth and movement. After about an hour and a half of yoga, breakfast would be ready and I’d feel ready to leap into the day – an epiphanous feeling! 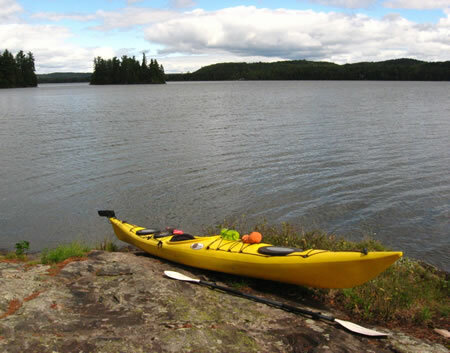 Most days, we’d head to the lake in the late morning and afternoon for kayaking. Nicki and Wendy spent plenty of time going over not just the basics we’d need to keep in mind for our paddling adventures on Lake Kawawaymog, but some very positive philosophies that proved helpful for the challenging moments we might encounter. Our first challenge was to learn how to do wet exit in the kayak. After talking us through it, we each paddled out and performed a wet exit under their tutelage. Never done a wet exit? It’s just like it sounds – in the event that your kayak rolls over, it’s the simple yet vital skill of detaching your spray skirt and ejecting from the boat while you’re upside down underwater. I confess, I’ve been kayaking several times and had never learned this essential skill. It was surprisingly easy and not scary to do! Subsequent kayak outings on the lake were a great mix of learning and fun. Our guides did a great job of keeping us together, even when rising winds had as scattering in every direction, and in no time at all they had us turning and tacking like nobody’s business. Landing on tiny Blueberry Island, we enjoyed a picnic lunch and stellar view of Algonquin Park. A second yoga session would occur each day, either in late afternoon or the evening, leaving my body feeling well-exercised yet loose and relaxed. While there are countless ways to teach yoga, and so may different types of yoga practices, I found Wendy’s instruction style to be a perfect match for me. Over the course of the 4-day retreat, Wendy worked in a large variety of poses, chants and mudras that complemented and built on each other. Having multiple sessions of yoga practice in a day ultimately brought both fitness and relaxation. The Edge’s yoga studio is a beautiful round room, and I still close my eyes and remember the way the clouds scattered across the sky while I lay in shivasana and gazed up through the skylights. The entire staff was not only exceptionally skilled at what they do, but they struck a perfect balance between being down-to-earth while simultaneously sensitive to the more spiritual nature of the experience on the retreat. It’s a hard thing to put to words, and that much harder to actually do, but the hands-off approach of guidance throughout the experience is well-calibrated for all kinds of participants. Our facilitators invited us to engage on whatever level we felt we wanted to, with no expectations. The result was sincere without being overbearing, special without being cheesy, spiritual without being too woo-woo. 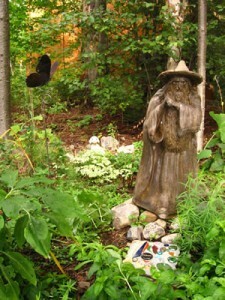 The Quest for Balance retreat is a balance itself; I found the mix of yoga and kayaking (along with additional activities throughout the weekend such as nature walks and artistic endeavors) to be a perfect movement between inward and outward, physical and spiritual, reflective and demonstrative. And while I’m certain that I could have a similarily uplifting experience on one of their co-ed retreats, the women-only group that I took part in held a certain feeling of quiet sisterhood that felt totally accepting and supportive, and for me that added to the experience. My “Quest” concluded back on the Northlander train, writing in my journal while rolling through stands of trees punctuated by the color of maple leaves just beginning to make the turn, still smelling the pine needles Nicki had rolled under our noses on our last walk before leaving the Edge. As was my experience the whole time I was in Ontario, fellow passengers invariably greeted me, wished me well, looked me in the eye and blessed me when I sneezed. 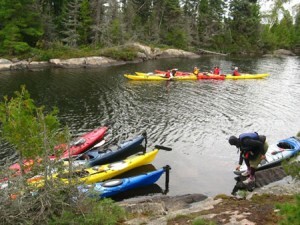 The Quest for Balance Yoga and Sea Kayaking Retreat is offered by the Northern Edge Algonquin several times a year. The program costs $350 (CDN) plus $110-225/night for meals/lodging, depending on your accommodation choice. Travel by train to/from the Edge like I did with the Railquest program! It’s a great way to go and, of course, much easier on the environment. The Railquest package can be added on to any stay at the Edge and includes transfers between the South River station and the retreat site. 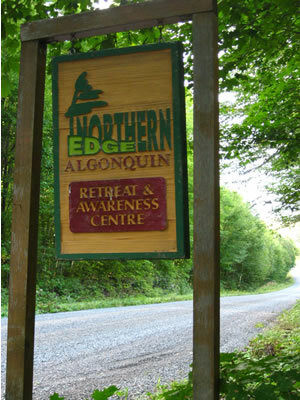 Northern Edge Algonquin offers additional retreats and adventures including shamanism, canoeing and paddling, and more. Check out their full retreat and adventure schedules. Click here to read more about my observations of the Edge’s facilities, and here for a celebration of their fantastic cuisine. Wendy Martin also has her own yoga studio; be sure to check out Sacred Breath Yoga if you are ever in Huntsville, Ontario!